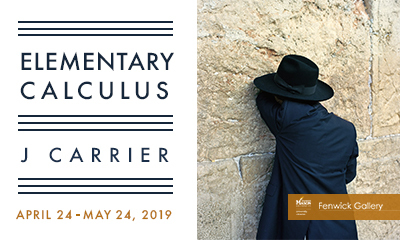 Elementary Calculus, through a series of portraits, landscapes and still life photographs, observes the publicly private moments of migrants and refugees in Tel Aviv and Jerusalem as they attempt to connect back to their homes. In photographing these peregrine foreigners, the project explores the distance between reality and desire – the want for what was and the hope for what will be – and traces the manner in which we navigate this desolate geography. The photographs resonate with the sense that in a foreign landscape distance loses its physical measure and home feels like a hazy memory, a half-remembered dream. Elementary Calculus was published by MACK in September, 2012, and selected for numerous year end “best of” lists and was also included in the 2013 International Center of Photography Triennial. 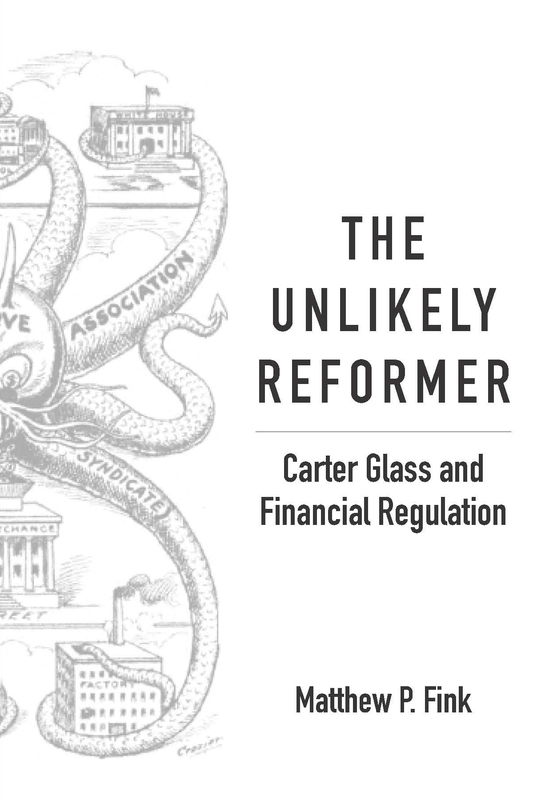 Work from J Carrier’s recent projects, Mi´raj and In Circles, will also be published by MACK in the coming year. Elementary Calculus will be on display April 24 – May 24, 2019, in Fenwick Gallery. Please join us on Tuesday, April 30, from 11am to 12pm in Fenwick 2001 for an artist talk with J Carrier. About the artist: J Carrier (b. Biloxi, Mississippi) spent a decade living and working in Africa and the Middle East, and after a five year stint in Brooklyn, returned home to Washington D.C where he lives with his wife and kids. Carrier is an assistant professor at George Mason University. He formerly taught at Cornell University, the International Center of Photography (NYC), and Western Connecticut State. He has a BS in wildlife & fisheries science and forestry from the Pennsylvania State University (1996) and an MFA from the Hartford Art School (2012). Carrier’s commissioned work has appeared in the New York Times magazine, National Geographic, Time, Fortune, CNN, Newsweek, Men’s Journal, XXL, Dazed and Confused, Le Monde, and The Financial Times and has won many awards. He was nominated for PDN30 (2016), the John Gutmann Photography Fellowship (2013 & 2012), and the Santa Fe Prize for Photography (2011). Join us for our last Music in the Lobby concert of the spring semester on Wednesday, April 24, from 12:30 to 1:30 p.m. in the Fenwick Lobby. 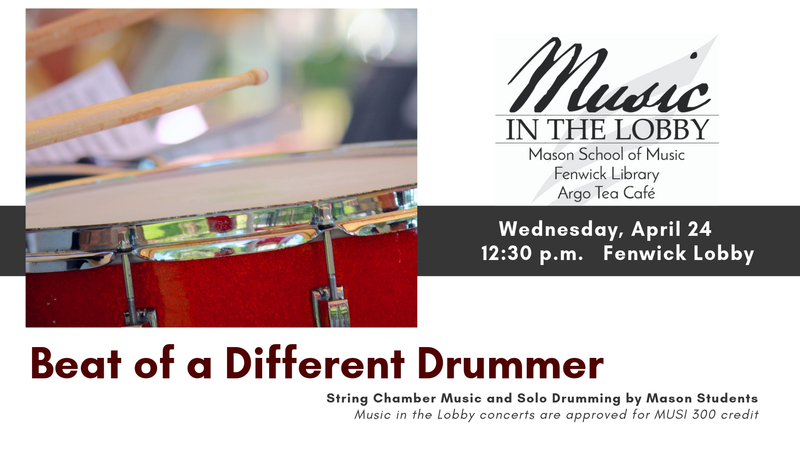 “Beat of a Different Drummer” will feature string chamber music and solo drumming by Mason students! The full program is available at: https://gmu.libcal.com/event/4210434. Refreshments will be provided by Argo Tea. Tuesday, April 9, 7:30-9pm: Special Event with Susan Richards Shreve and Susan Tichy – On the eve of her retirement, Mason’s Creative Writing Program celebrates one of its longest-serving and most celebrated professors, Susan Tichy. Tichy’s most recent collection, The Avalanche Path in Summer, takes her “life-long experience of walking in mountains and stirs into it a mix of ideas about mountains from the European and Chinese traditions.” She is also the author of five additional collections of poetry, including A Smell of Burning Starts the Day; The Hands in Exile, which was selected for the National Poetry Series; Bone Pagoda; Gallowglass; and Trafficke. Tichy will be joined by J.K. Daniels, whose book Wedding Pulls was selected by C.D. 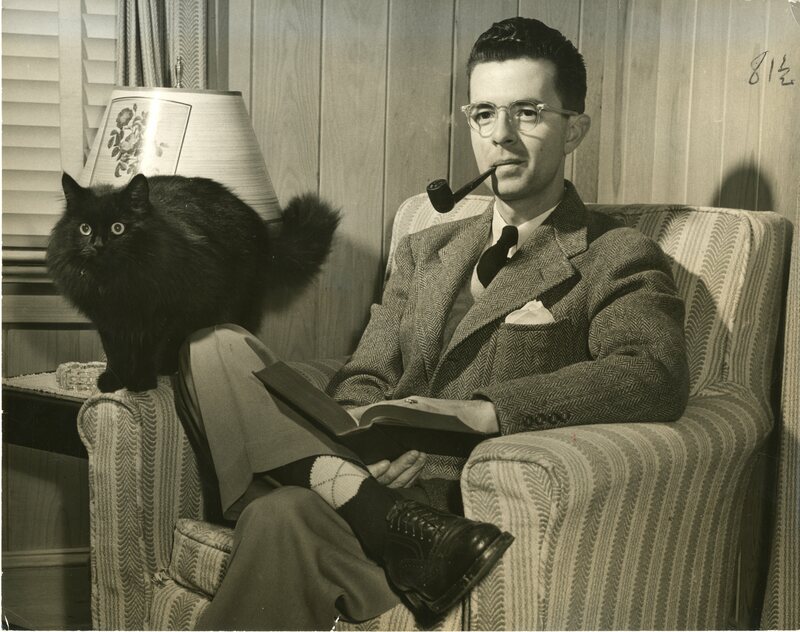 Wright for the New Southern Voices Poetry Prize and published by Hub City Press. A Mason MA and MFA graduate, she serves as the College Dean of Languages and the Annandale Campus Dean of Languages, Arts, & Social Sciences for Northern Virginia Community College. Mason is excited to celebrate its thirty-eighth International Week, Friday, April 5 through Sunday, April 14. This week-long celebration is an opportunity for our students from over 118 countries to come together to showcase their different cultures through various programs and activities. Many campus units sponsor several events including a parade, culture nights, and the highly anticipated dance competition. Students, families, and community members are welcome to enjoy the international cuisine, music, lectures, resource fairs, and other events throughout the week. As a part of International Week, the Confucius Institute at Mason and Mason Libraries are hosting a Chinese Film Night on Tuesday, April 9, from 5 p.m. to 8 p.m in Fenwick Library, Room 1014. 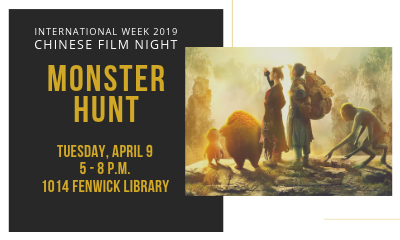 All are welcome to join us for a screening of the Chinese fantasy-action blockbuster Monster Hunt and a discussion afterwards – with a traditional Chinese Tea Ceremony. Chinese food will also be served. To learn more about International Week and other events, visit iweek.gmu.edu. Congratulations to the following library faculty/staff for their service to George Mason University and/or the Commonwealth of Virginia. They will be recognized at the 2019 University Day Service Awards celebrations on April 2 (5-15 years of service) and April 4 (20+ years of service). April 4 is Giving Day! 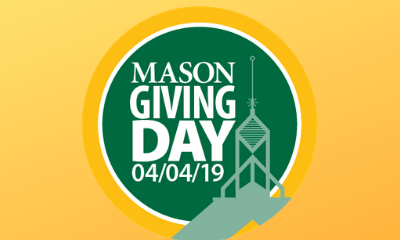 Mason’s third annual Giving Day is Thursday, April 4! Giving Day is a 24-hour, university-wide campaign inviting our community to come together to support Mason. For a full array of philanthropic projects at the university, check out givingday.gmu.edu. The University Libraries is excited to once again be part of this campaign and to raise support for our Libraries Student Assistant Scholarship Endowment – a fund created to recognize student assistants who demonstrate outstanding work performance in the University Libraries while meeting the academic requirements of their coursework at Mason. We hope you will join us by making a gift, between midnight and 11:59 p.m. EST on Thursday, April 4. While the Libraries’ focus on Giving Day is scholarships for our students, you can choose another program at the Libraries or Mason that you would like to support – every gift counts! You are also invited to join the Mason community at a variety of events. Throughout the day on April 4, there will activity on the Quad Lawn (10 a.m. – 5 p.m.), including Giving Day swag, special guests, and more. In the evening, join your fellow Patriots in Clarendon for happy hour at Spider Kelly’s and enjoy drinks, hors d’oeuvres, Mason swag, music, games, and live updates on Giving Day outcomes. Thank you to everyone who has already pledged their support for this year’s Giving Day! You can track our progress throughout the day at givingday.gmu.edu/libraries. Jo Ann Henson, Business and Economics Librarian, has been selected for the 2019 Distinguished Library Faculty Award. With twenty years’ experience in the academic librarianship field, she is a highly skilled and dedicated professional. Henson will be recognized at the annual Celebration of Teaching Excellence, organized by the Stearns Center for Teaching and Excellence. 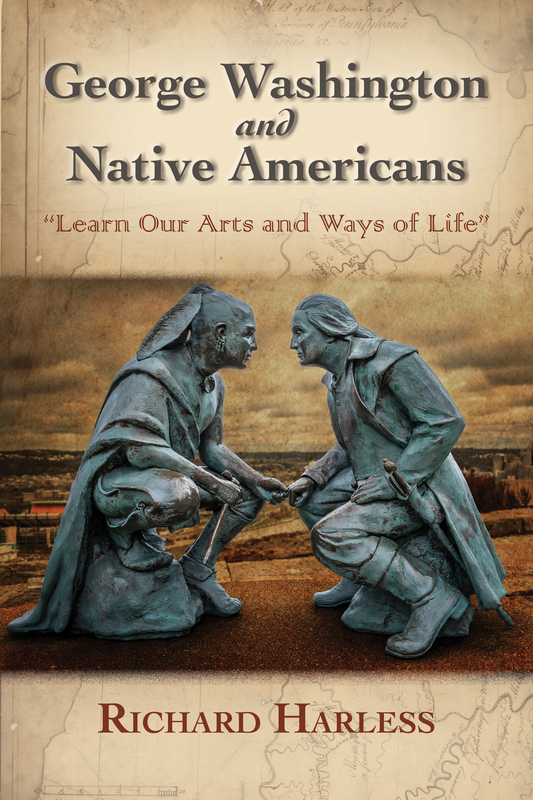 This year the event is scheduled for Monday, April 15, 3:30 – 5:00 p.m., Center for Arts, Fairfax Campus. Since 2012, Ms. Henson has been the Business and Economics Librarian at the George Mason University Libraries, and her tenure has been marked by her active involvement in forming key partnerships with the School of Business and the Department of Economics and providing support for their students’ and faculty’s research endeavors. In addition to research and reference support, she leads over 40 instructional sessions each semester as well as ensures the Libraries’ business and economics resources are current, up-to-date, and reflective of a broad array of disciplinary needs. 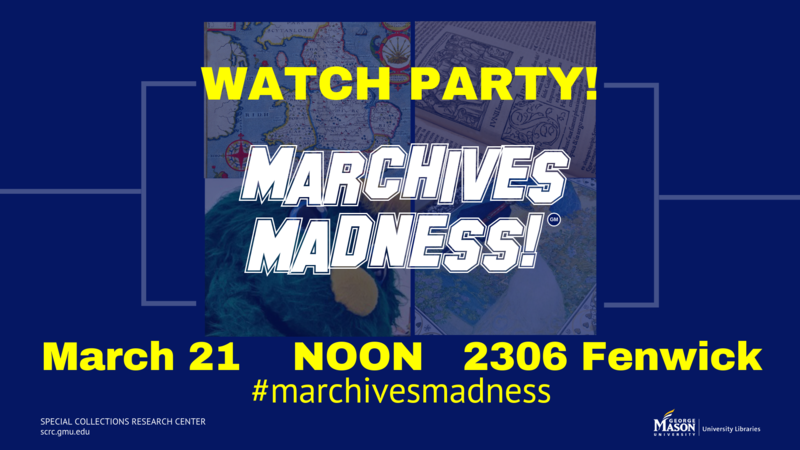 Prior to joining Mason, Henson was the Business Reference Librarian at Louisiana State University (LSU), where she was responsible for launching an annual “Meet Your Librarian” Day and for being the first librarian to schedule “embedded” office hours within the Business School. Prior to LSU, she worked as a librarian in both corporate and medical institution settings. Read more about Henson’s accomplishments and nomination. 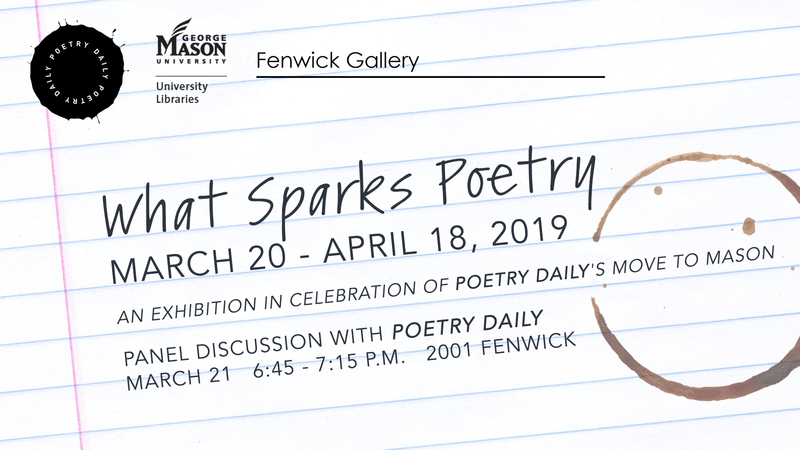 Fenwick Gallery is pleased to host “What Sparks Poetry,” an exhibition in celebration of Poetry Daily. 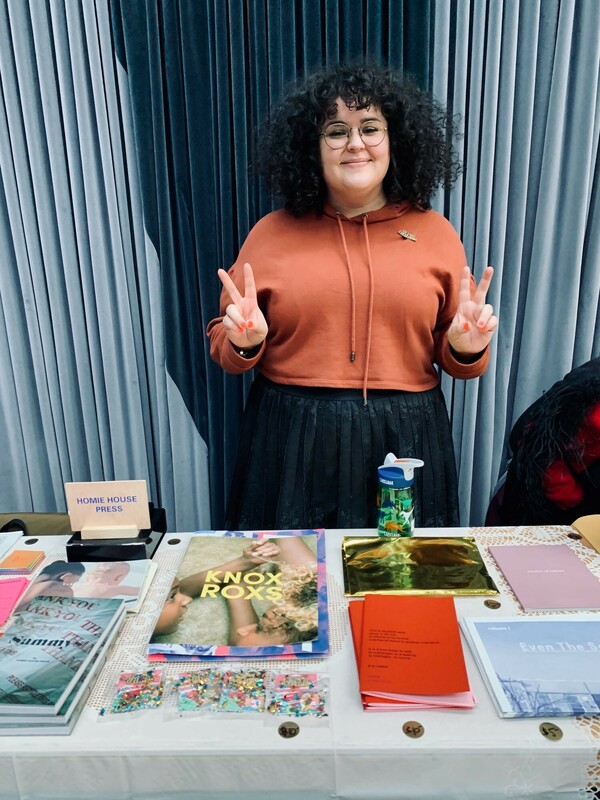 The exhibition will be on view from March 20 through April 18, 2019, with a panel discussion presented by members of the Poetry Daily editorial and publication team on Thursday, March 21 at 6:45pm in Fenwick Library, Room 2001. The Gateway Library Media Collection will move to Fenwick Library the week of April 1-5, 2019. Please check out all media needed for that week by March 31, 2019. For Faculty: If a film is needed for class, consider checking it out the week before, putting it on reserve, or placing a screening request in advance. Films already on reserve or scheduled for screenings will not be affected. 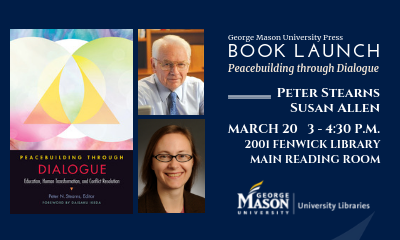 For additional information, contact Heather Darnell, Librarian for Multimedia Literacy, hdarnell@gmu.edu. Do you like books, the culinary arts, winning prizes? Enter the Libraries’ Edible Book Festival Competition! 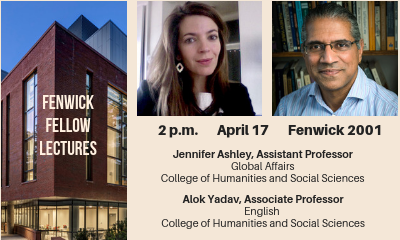 The Festival will take place Monday, April 1, from 11 a.m. to 2 p.m. in Fenwick Library, Room 1014 (yes, we realize this is “April Fool’s Day” but this is no joke!). Edible Book Festivals feature creative food projects that draw their inspiration from books and stories. Edible books might physically resemble books, or they might refer to an aspect of a story, or they might incorporate text. Judges select winners for an array of light-hearted prize categories, such as “Best Literary Pun” or “Most Delicious Looking.” The Festivals are a great way to celebrate both book-making culture and the culinary arts. Edible Book Festivals began with the Books2Eat website in 2000 and is now celebrated internationally. 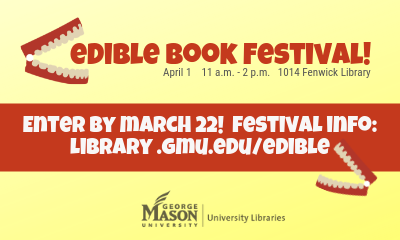 For more details and to enter the competition, visit http://library.gmu.edu/edible. Entry forms are due by March 22. We can’t wait to see (and taste) what you create!